School Trips to Greece offer a land of mystery where myths about gods, heroic acts, mythical creatures and great philosophers reverberate around historic sites that have stood for four millennia. 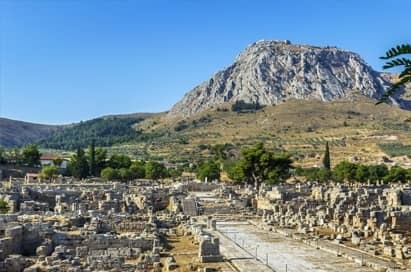 From Olympia in the west to Mycenae and Delphi, the sheer number of historic sites is astounding. 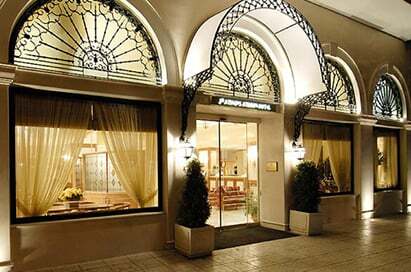 No visit to Greece is complete without school trips to Athens where you will find a modern and bustling capital with a pervading sense of its classical past as it lives in the shadow of the Acropolis and the mighty Parthenon. The Agora was the heart of ancient Athens, the focus of political, commercial, administrative and social activity, the religious and cultural centre and the seat of justice. The ruins of ancient Corinth are spread out at the foot of the huge rock of Acrocorinth. The monuments are mainly Roman; only a few are Greek. The real focus of the site is a rare survival of the 5th century BC Temple of Apollo. 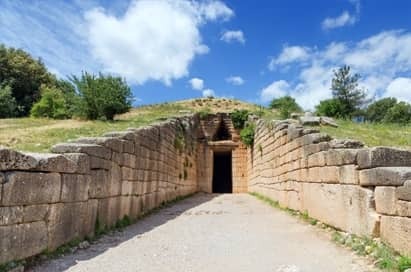 The museum contains mosaic floors, Mycenaean and Corinthian pottery, terra cotta sphinxes, statues of two supernatural beings, relief plaques, the Roman head of the Goddess Tyche and small objects of various kinds. 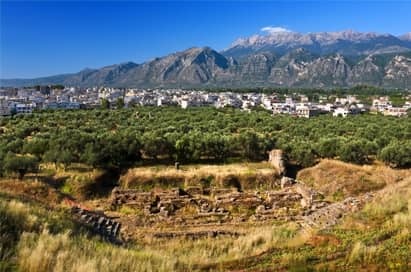 The Greek city was at the height of its power from the eighth to the fourth century BC, a period when Sparta structured its society according to the laws of Lycurgus, defeated Athens in the Peloponnesian war and established colonies around the Greek world. The ancient “city” occupied more or less the site of the current town. There are some ruins to be seen north of the city and a small archaeological museum. Epidarus is a major Greek site, visited for its ancient theatre and its sanctuary dedicated to Asclepius. 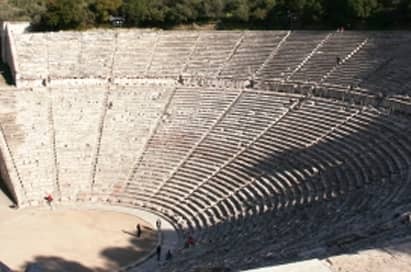 The ancient theatre was built by Polykleitos in the 4th century BC and is known for its extraordinary acoustics. Productions of Classical drama are staged on Friday and Saturday nights from June through until the last week-end in August (performed in modern Greek). The Asklepian sanctuary has ruins of buildings which have identifiable functions. There is also a small museum close to the theatre and a visit here before visiting the sanctuary will help identify some of the former buildings. On the edge of the Argolic gulf and close to Nauplion, the Acropolis of Tiryns is set on a rocky hill. The fortress, now over three thousand years old, is impressive and the walls, 750m long and up to 7m thick, are formed with huge Cyclopean stones. Visitors are restricted to exploring certain passages, staircases and the palace. 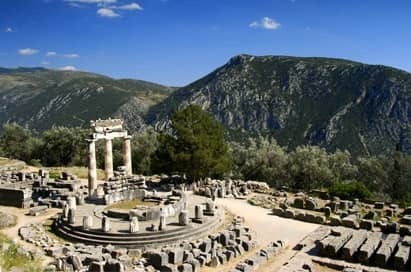 Delphi known in ancient times as the navel of the world. 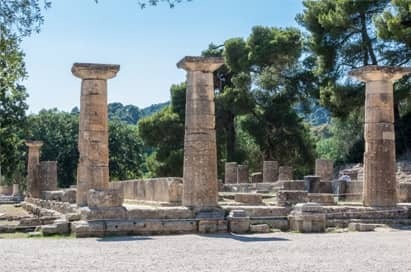 Pass by CASTALIA SPRING, visit the archaeological site the Temple of Apollo famous for its oracle and the Museum of Delphi, with its spectacular finds which include the bronze Charioteer, the Naxian Sphinx and the Statue of Antinous. 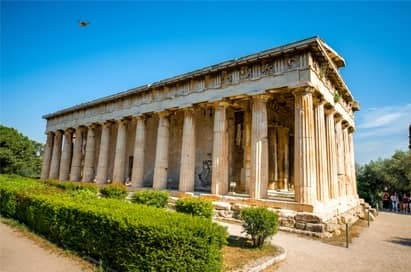 A guided tour will offer the opportunity to see all Athens' key classical sites including the Sacred Rock of the Acropolis, the Theatre of Dionysus, the Temple of Olympia Zeus, and the Cemetery of Kerameikos. 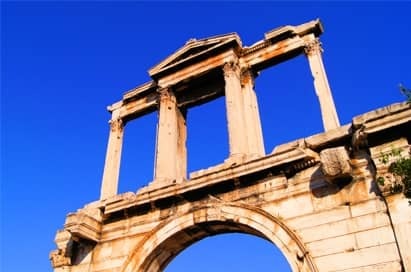 Nearby is the Tower of the Winds, Hadrian’s Arch and the Roman Forum. 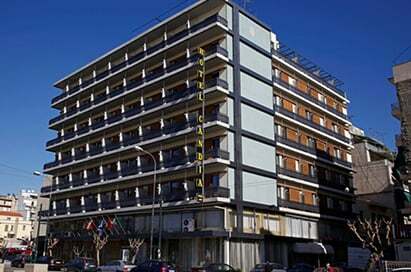 An experienced guide will give information on the history of the city and will be able to answer any questions you have. This is an 11th century AD Byzantine monastery dedicated to Saint Loukas Steiriotis and is one of the great buildings of medieval Greece. The main structure comprises two domed churches, the larger katholikon and the adjacent chapel of the Theotokos. The monastery is essentially maintained as a museum. This small, private museum was founded in 1986 to house the collection of Cycladic and Ancient Greek art belonging to Nicholas and Dolly Goulandris. The collection includes objects from the Cycladic civilsation, pre-Minoan Bronze Age and the period from the fall of Mycenae to the beginning of historic times around 700BC as well as a selection of Archaic, Classical and Hellenistic Pottery. 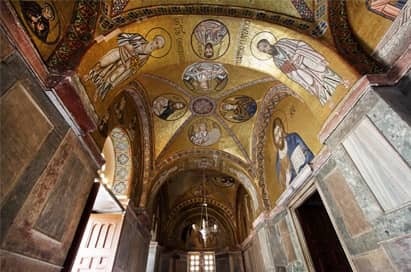 A marvel of architecture with a full exhibition of the glory of Ancient Athens. Various attractions such as votives, artifacts of every day life, statues from archaic period, Caryatids and of course the Parthenon hall with the metopes, the pediments and the frieze. The forum was built by Julius Caesar and Augustus as an extension of the older ancient Greek agora to its west. Its main entrance was through the Gate of Athena Archegetis which consisted of a Doric portico and four columns supporting an entablature and pediment. The best preserved of the ruins is the octagonal structure known as the Tower of the Winds. Designed in the 1st century BC by Andronikos of Kyrrhos, a Syrian astronomer, it served as a compass, sundial, weather vane and water clock. In the 10th century BC, Olympia became a centre for the worship of Zeus. 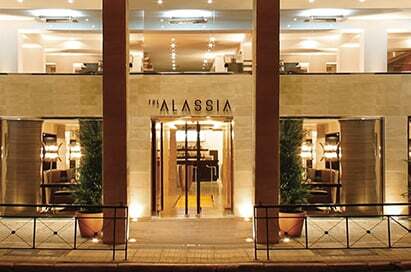 In ancient times the beautiful site was full of wild olive trees, poplars, oaks, pines and plane trees and it was these trees that gave the centre of the sanctuary the name Altis, meaning alsos (grove). The Altis comprised the main religious buildings, temples and votive offerings of the sanctuary. Out of the enclosure were the auxiliary buildings, priests' houses, baths and sports structures built for the Olympic Games, which were held in Olympia every four years beginning in 776 BC. 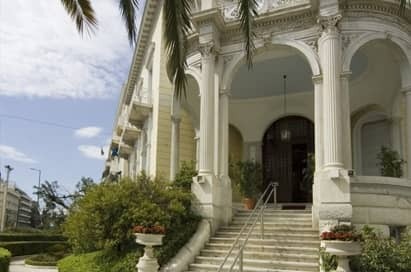 The Archaeological Museum contains some of the finest Classical and Roman sculptures in the country, the most famous of which are the head of Hera and the Hermes of Praxiteles. 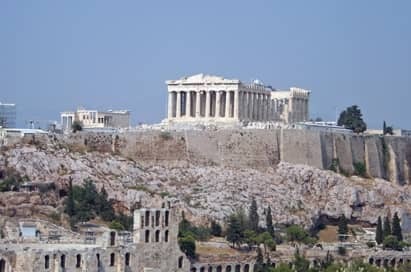 The Acropolis hill, so called the "Sacred Rock" of Athens, is the most important site of the city with four of the greatest masterpieces of classical Greek art – the Parthenon, the Propylaea, the Erechtheion and the Temple of Athena Nike. It has the famous porch of the Caryatids on the south. 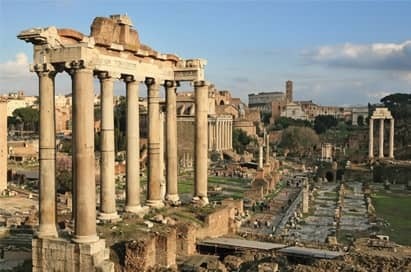 It combined both Doric and Ionic columns for the first time. 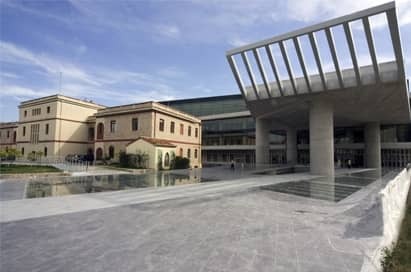 The Acropolis Museum houses all the portable objects removed from the site since 1834.